Professional Blackhead & Blemish Remover Kit for Acne Skin, Blackheads, Pimples and Blemishes. 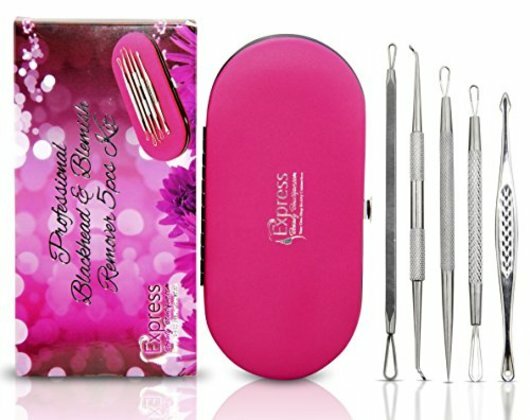 5pcs Extractors Blemish Tools with Faux Leather Pink Case. THE EXPRESS BEAUTY BOUTIQUETM EXPERIENCE - 100% focus on authentic connections and communication. We believe in engineering our products with the customer experience in mind, and if needed, open mindedness to innovate breakthrough designs contingent on customer feedback.